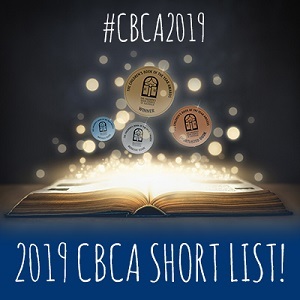 CBCA - Announcing the 2019 Short List! Announcing the 2019 Short List! Dangerous sea journeys, the secret of happiness from Australian prisoners of war and the Yolŋu birds of Arnhem Land have all made the Short List of the Children’s Book Council of Australia (CBCA) Book of the Year Awards, announced today. CBCA National Chair Margot Hillel OAM said the 2019 Book of the Year received a record 488 entries and the Short List captures a sweep of Australian lives and stories. “We have well-known Australian authors Emily Rodda and Alison Lester on the Short List as well as first-time authors including Siena Stubbs from North East Arnhem Land,” Professor Hillel said. “In this International Year of Indigenous Languages, 15-year-old Siena teaches us the Yolŋgu names for birds in her book of photography Our Birds: Ŋilimurruŋgu Wäyin Malanynha. “Dangerous sea journeys, change and understanding differences are themes emerging from the stories of refugees and immigrants across the Picture Book, Older Reader and Eve Pownall categories. CBCA Award for New Illustrator, the only award of its kind in Australia. The full 2019 Short List is available here. The 2019 CBCA Book of the Year Awards will be announced on 16 August – also the launch date for CBCA Book Week 2019 with this year’s theme “Reading is My Secret Power”.